MINING FOCUS: MaxiTRANS is expanding, to meet the demand of the mining boom. AZMEB has a strong reputation as one of Australia's most innovative designers and manufacturers of side tippers for both the resource and waste management sectors. According to Michael Brockhoff, managing director of MaxiTRANS, "the AZMEB acquisition strengthens our position as a leading manufacturer of tippers and AZMEB and its customers will benefit from further investment, broadened distribution and national customer support". MaxiTRANS will retain the existing AZMEB manufacturing facility in Bundaberg together with its valued employees. "Importantly, the existing AZMEB management team is remaining and is committed to providing high levels of customer service, innovation and quality," explained Brockhoff. "It is pleasing that the current owner, Bernd Ostermeyer, has agreed to stay on for a period of time to assist with the integration of AZMEB into the MaxiTRANS Group". Looking forward, MaxiTRANS sees this as a key strategic move to build on its existing participation in the resources sector, while expanding AZMEB's distribution across Australia. 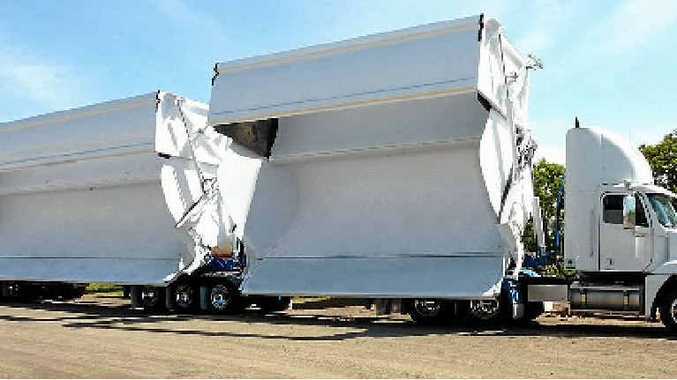 MaxiTRANS is Australia's largest manufacturer of trailing transport equipment, with class-leading brands such as Lusty EMS and Hamelex White tippers, Freighter semi-trailers and Maxi-CUBE and Peki reefers. MaxiTRANS is also a major player in road transport parts through its Colrain and QDS divisions. Refer to: maxitrans.com.au and azmeb.com.au for details.